Aaron Wenburg, DPT, SCS, is a board certified Sports Clinical Specialist, and has completed a 1-year residency in Sports Physical Therapy at the University of Wisconsin-LaCrosse. 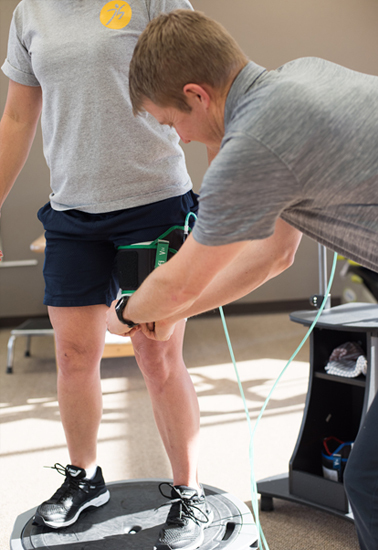 While there, he worked in depth to analyze runner’s unique gait presentations, and has brought his specialized analysis skills to SandhillsPT. Aaron is available each weekday to perform a running and/or gait analysis through a 2-visit, $50 self-pay, approach. He will listen to your specific issues, and take video analysis of your gait in visit 1. He will then provide specific recommendations, including exercise and shoe recommendations, on visit 2.